Just curious what is the average body weight for a ballerina? Also what is too heavy and what is too light? How are you? Thanks for your message, it's great to hear from you and I love keeping in touch. Well, I would say there isn't an exact body weight for a ballerina since each one is different heights, builds and sizes. It is very individual to each dancer and it depends hugely on their build or how much muscle they have. The professional ballerinas you see look light and airy, but they are strong women and athletes. If you research different ballerinas like Misty Copeland, Darcey Bussell and Maria Kochetkova you will see each one is unlike the other in the look of their physique. Of course, their muscles all look similar to a ballerina's but they are different heights and weights. 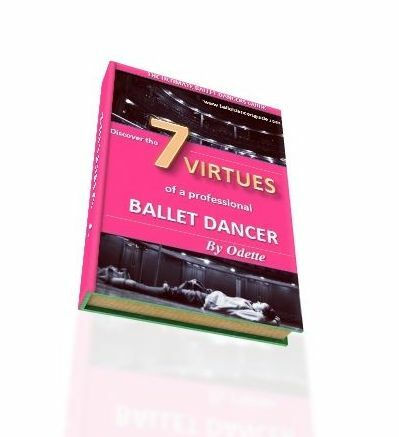 Before I keep talking on, I must tell you about my new eBook "7 Virtues of a Professional Dancer". Especially because I know in the past you have asked me questions about the body of a ballet dancer and tips to increase your strength/ flexibility. Therefore, I truly reccommend to you Virtue 3:Physicality. Each virtue is just $2.99 each and I've done my best to put it at the most affordable prices for you. It means you can have all the crucial advice in one place and have many of your thoughts/ doubts solved instantly. Let me know what you think and keep in touch. I would love to hear your feedback.